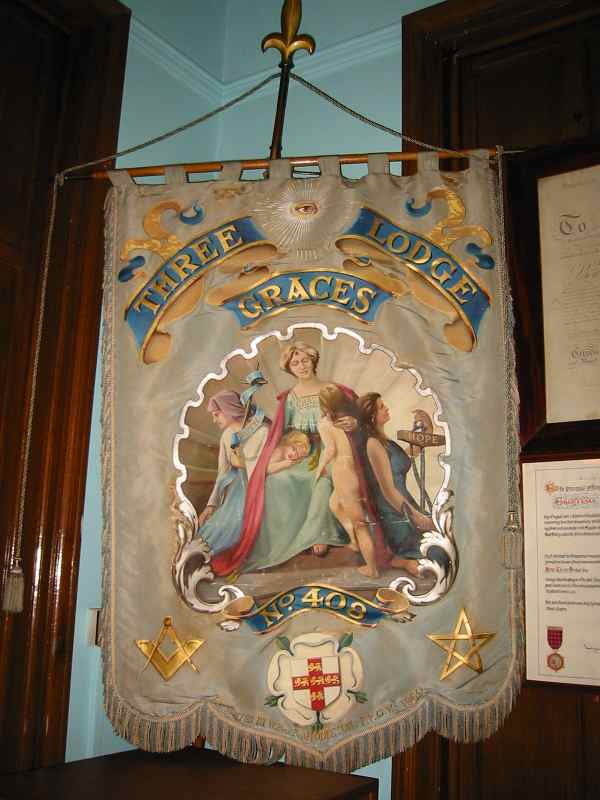 The Lodge of the Three Graces Haworth 408 (originally 506) was formed on 15th September 1792, the first recorded meeting was at the Black Bull on 7th July 1806. 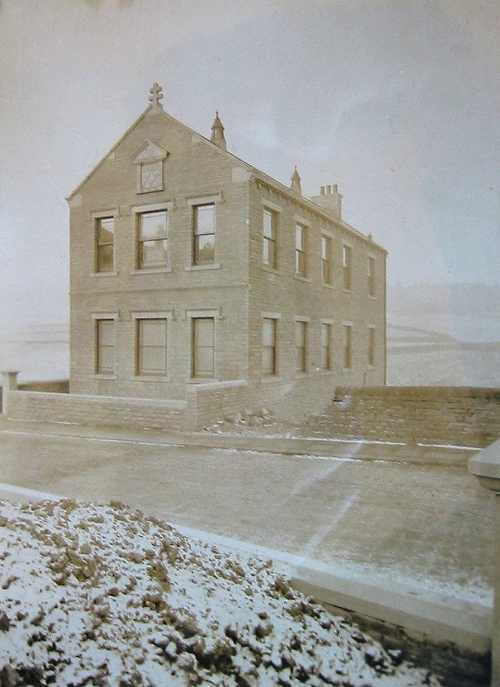 They continued to meet there until 1821 when they moved to Lodge street . Branwell Bronte (1817- 1848) was proposed and accepted into the Masonic lodge at Lodge St (pictures left show inside) Haworth Feb 29th 1836. On June 12th 1837 he became secretary. 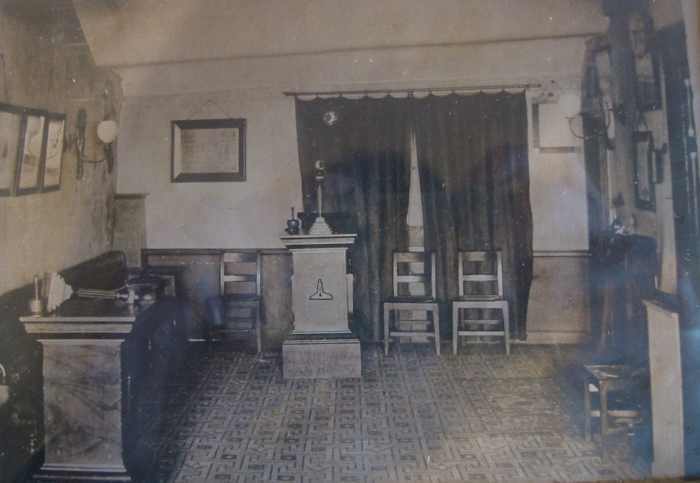 In 1842 is the last time he attends a lodge meeting. 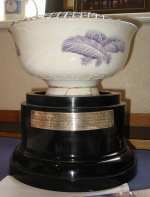 The Rose bowl (picture right - click on the picture for inscription) is said to have belonged to the Bronte family. 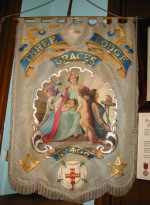 It was presented to the lodge on 6th April 1936 celebrating the centenary of Branwell Bronte's raising to the sublime degree of Master Mason. 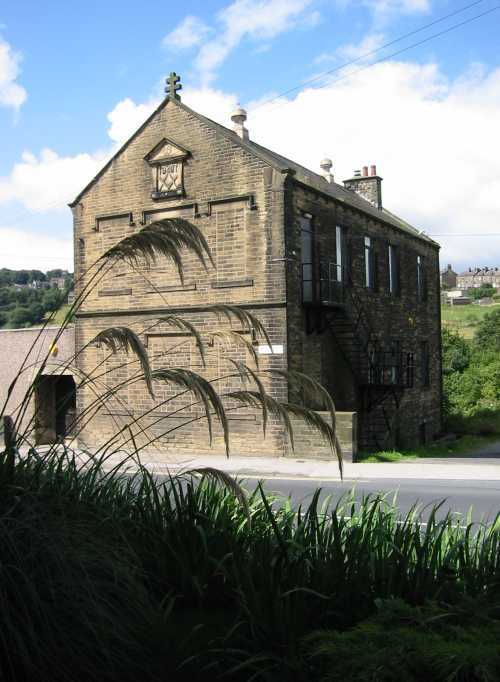 On 25th May 1907 the land at Mill Hey was purchased form Merral & Son Ltd for the sum of £85:5:0d. The first sod was cut on 27th May 1907 by Bro. J.W. Parker. 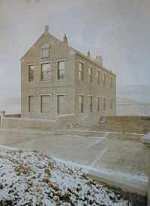 On 14th December 1907 the lodge records its first meeting in the new premises. 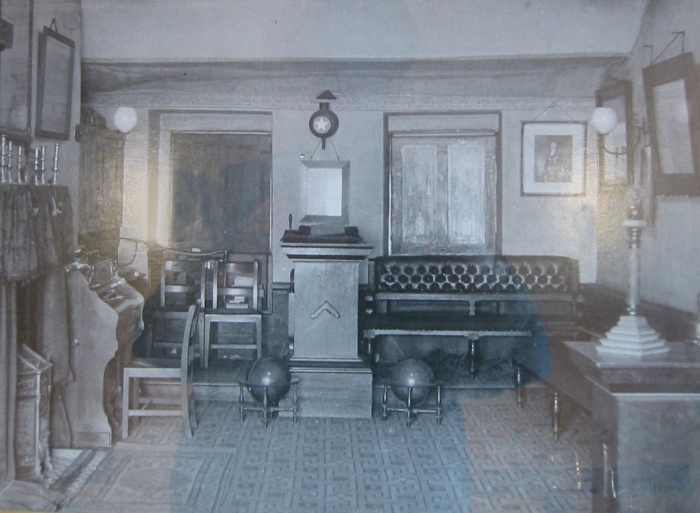 Picture right show the lodge in early 1900's and as it is today.